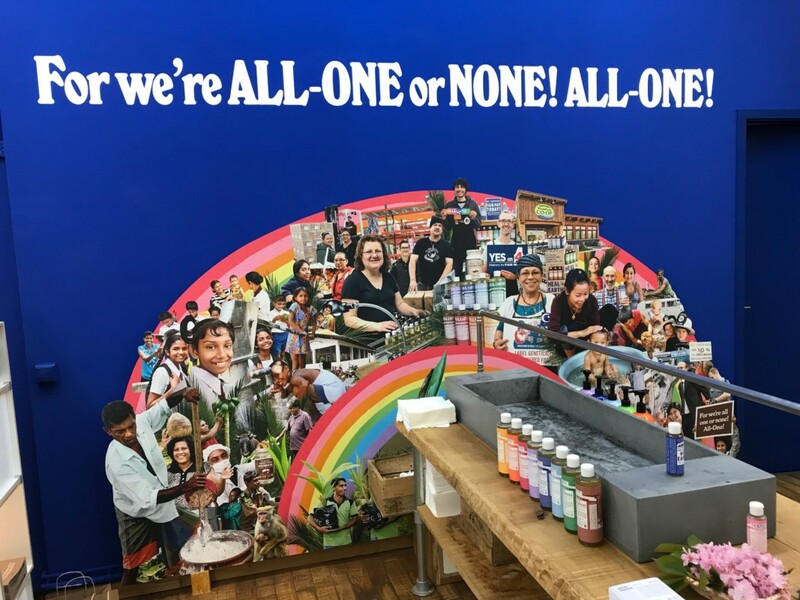 Dr. Bronner’s, the global organic and fair trade soap and body care brand, with its European headquarters in Düsseldorf, Germany, celebrated the opening of its first pop-up outlet in Berlin in partnership with the charitable project People Berlin on Thursday, April 26, 2018. The shared store concept, named “Round Table,” is located in Hackesche Höfe in the Mitte district in Berlin. The space is run by Dr. Bronner’s and People Berlin and open from late-April to September 2018. It functions not only as a retail space, but also as a meeting place for people from different social backgrounds as a platform for exchange and dialogue.